My apologies for being off line for a while, and here is an update. As I told one of my readers, Chris, it has been a hectic few months in 2018. First, I had one editor retire from fiction and then another who backed out of his commitment just as he was supposed to start. As you can imagine that throws off the production schedule. However, I may have been able to reconstruct things and Book 4 in the Host Saga, Search for Help, should be out in late October or early November. Second, based on some detailed reviews of Future Discovered, I have been doing a re-write and will submit it to an editor on the first of May. The story won’t change but the pace and character dimensions will. While doing this and for those of you who aspire to become writers, I learned something new in the editing line that we can do for ourselves. Author K.M. Pohlkamp, an historical fiction writer in Houston, showed some of us a couple tricks using the Find tool in MS Word. Adverbs can be useful, but too many are a problem. She suggests entering the letters ly and a space into the Find box and then hitting Enter. 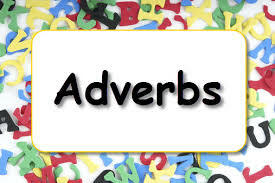 If your writing is like mine, you will get hundreds of hits, the majority will be adverbs. I use this tip to find an eliminate most adverbs since they don’t generally add to the story or readability. Then KM shares another valuable tip. Make a list of your overly used words and use the Find command to look for and eliminate them. If you aren’t sure what these words are, you’ll start to get a feel for them when you look at adverbs. For me the list includes; likely, seems like, apparently, that, smile, etc. Try these two tips and see how they work for you. 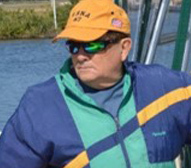 Advice, Blogs, editing, Host Saga, Michael J Farlow. Bookmark.